The 0015 3-Speed pump is specifically designed for the wide range of flow and head requirements of today?s hydronic heating systems. Its? 3-Speed switching capa-bility provides fine tuning control to match a wide combination of tube diameters and length of runs. 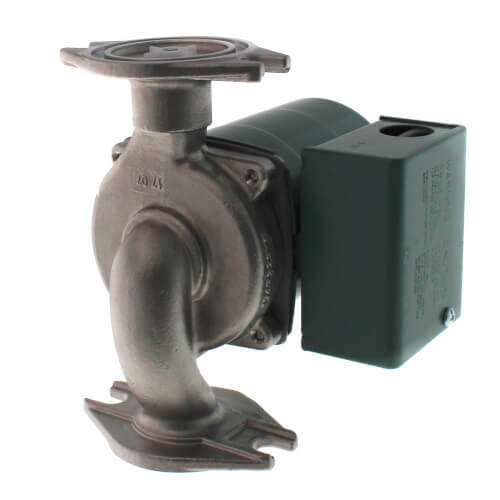 The 0015 3-Speed is a direct replacement for the Grundfos UPS 15-58 3-Speed. The 0015 delivers the highest starting torque in its class and includes a removable, uni-body Integral Flow Check (IFC®) that prevents gravity flow, reduces installation costs and improves pump performance. The Stainless Steel 0015 should be used on open, fresh water systems.